David Hunt, Keynote Speaker on the Law of Language Access in Caring for LEP Patients at the 2017 Diversity and Inclusion in Healthcare conference in Las Vegas, Nevada on 4.28.2017. Tuesday, March 14, 2017, from 12:00 – 1:30 CST. 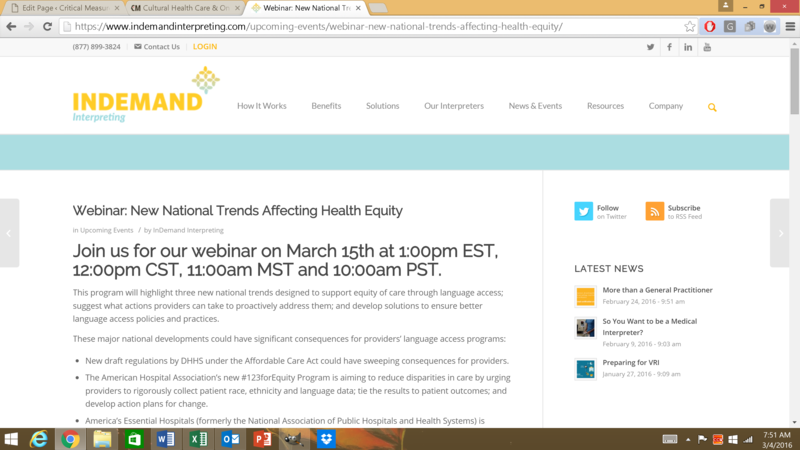 Calling all Health Equity advocates! The Health Determinants and Disparities Practice of CSRA Inc., has been charged by the Office of Minority Health with conducting a major review of the CLAS standards. CSRA will be hosting a special event on April 12, 2016. 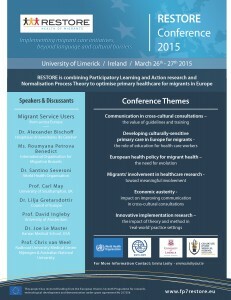 The event will consist of a 90-minute webinar and a virtual poster session. 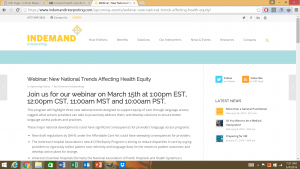 The webinar will provide an overview of National CLAS Standards activities to date, and address topics related to the Affordable Care Act, public health settings, and direct service providers. Critical Measures President and CEO David Hunt will be one of the invited speakers on the webinar. 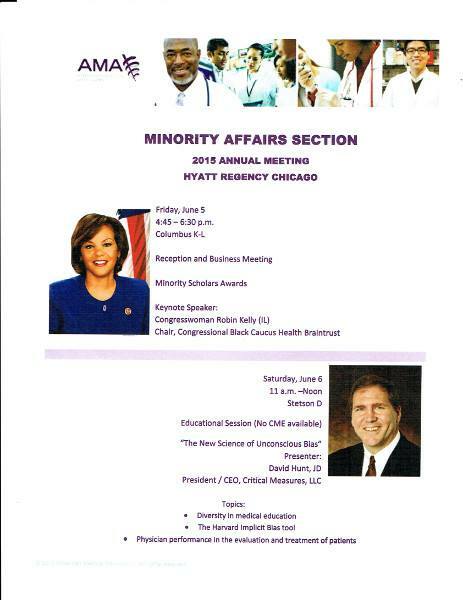 David Hunt presenter at AMA Minority Affairs 2015 Annual Meeting in Chicago, Ill.
CM E-Learning has been invited by The University of Limerick (Ireland) to speak at their ‘RESTORE’ conference on March 25th-27th, 2015. Critical Measures and CM E-Learning President, David Hunt, will be speaking at the conference and will be giving a demo of Critical Measures’ e-learning software. 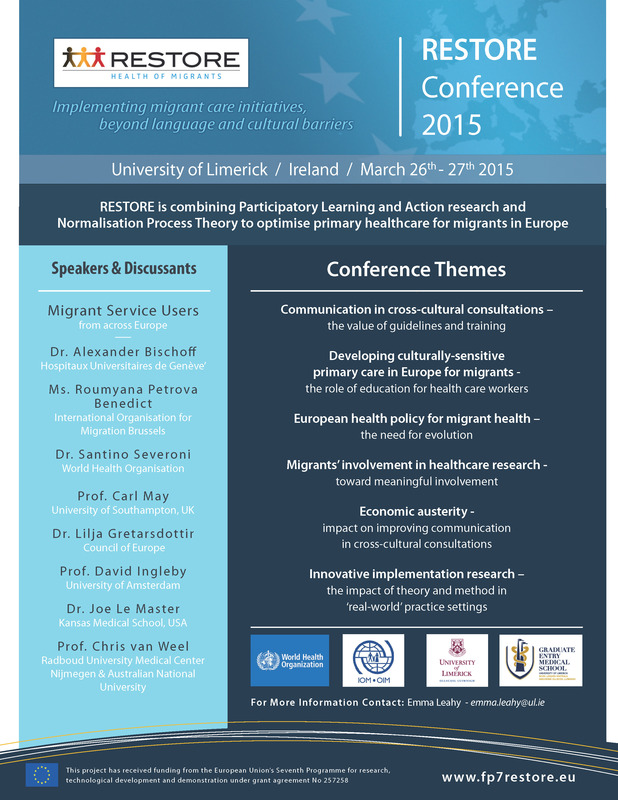 Fellow invitees include the World Health Organization, Council of Europe, University of Amsterdam, and the International Organisation for Migration Brussels. Stay tuned for more information!